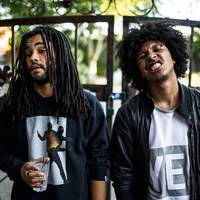 Eff Is H & Greg Cypher are two MC's making that Fresh Coast hip hop that never gets old. As Kung Foo Grip, they bust rhymes that are classic, hungry, and versatile. With lyrical mastery reminiscent of Nasty Nas, and a sound all their own, the Grip consistently drop tracks that are relevant, independent, and definitely dope. Live, the duo are known to shred words at shows with sharp precision and high energy. At the core of a growing Seattle rap scene, Kung Foo Grip is bringing the West Coast back, adding new flair to a crowded game.